New working committee will explore mobile and contactless payment implementation opportunities and challenges, identify solutions, and share guidance and best practices to move market forward in U.S.
Princeton Junction, N.J., November 14, 2016 – Mobile and contactless payment is an area of much debate among stakeholders across the ecosystem. Questions about implementation opportunities and challenges and the uncertain future for how mobile payments will evolve have made this an important topic to be addressed in an open forum in the U.S. The U.S. Payments Forum[i] today announced the Mobile and Contactless Payments Working Committee to explore these opportunities and challenges, identify possible approaches, and develop practical implementation guidance and best practices for the variety mobile and contactless payments solutions being implemented in the U.S. 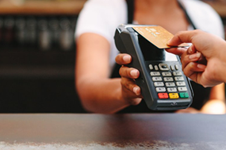 The Mobile and Contactless Working Committee will hold its first in-person working session at the U.S. Payments Forum member meeting on December 8-9 in Coral Gables, Florida. Mobile operators and wallet providers are invited to take advantage of a limited time offer to join the Forum and learn how other payments industry stakeholders have benefited from membership. Members interested in participating in the meeting can register at http://www.cvent.com/events/u-s-payments-forum-meeting-coral-gables-dec-16/event-summary-f4af86a3ee9d4892bd812bee6c39f546.aspx. For more information on the U.S. Payments Forum working committees, or for details on how to become a member, visit http://www.emv-connection.com/us-payments-forum/.